Let's embrace the true meaning of Thanksgiving by filling our tables with a wholesome, delicious, spread from our bountiful harvest of grains, vegetables, and fruits. Let's replace misery, disease, and death with happiness, health, and life! 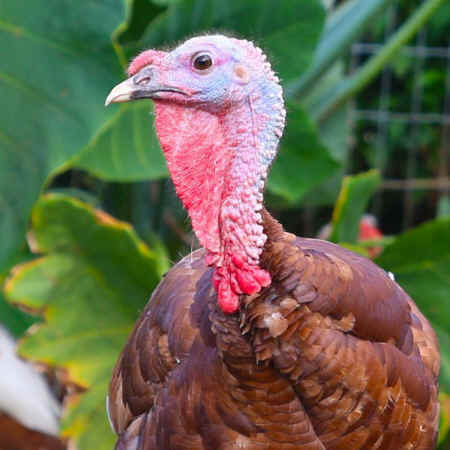 Did you know that turkeys are among the friendliest animals in the animal kingdom? 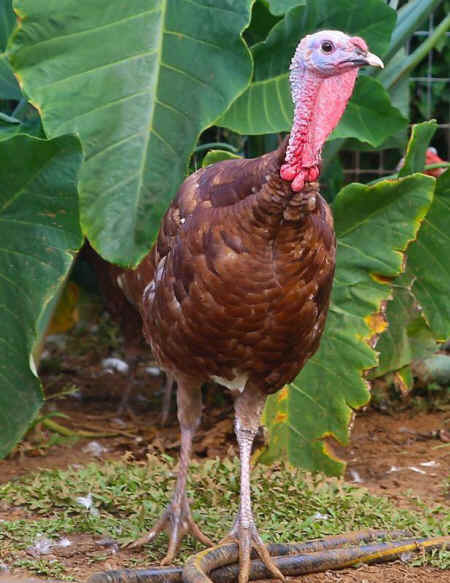 At Leilani Farm Sanctuary we are learning just how personable and intelligent these special birds are. 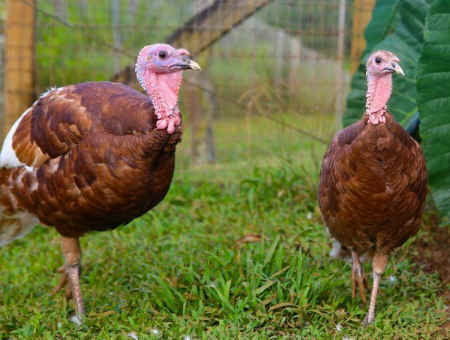 The rescued turkeys at the farm follow us around and even ask for hugs! They are very talkative and love to play. Thanksgiving is right around the corner. 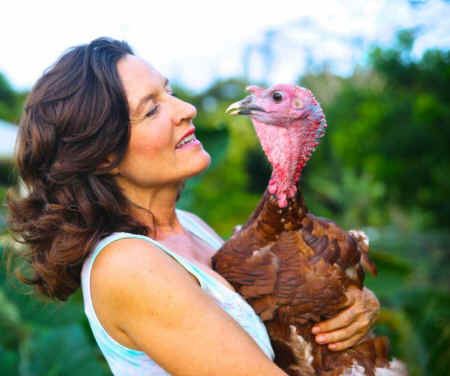 The holiday is about liberty, happiness, and life; and the rescued turkeys at Leilani Farm Sanctuary have it all. But, the 330 million turkeys raised each year for the holiday dinner table experience none of these. They have horrendous lives, crammed into large sheds filled with toxic fumes from their excrement. Their beaks and toes are clipped to reduce damage from stress-induced aggression. After 16 weeks of hell, they are hung by their legs on a conveyer belt and beheaded while fully conscious.